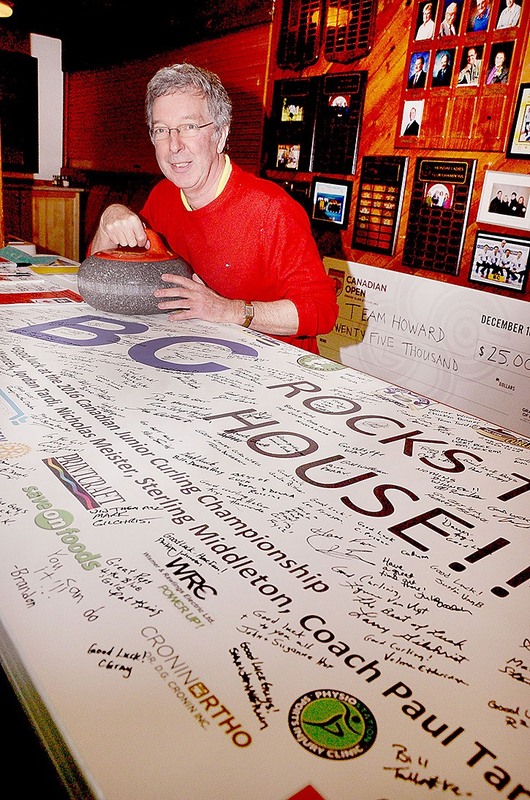 Outgoing Langley Curling Club manager Nigel Easton is proud of the success of the club’s junior program. The club has a table adorned with a banner wishing Langley-based Team Tardi luck at the 2016 Canadian junior championships. After nearly 17 years, Nigel Easton is preparing to hand over the Brookswood club’s reins. 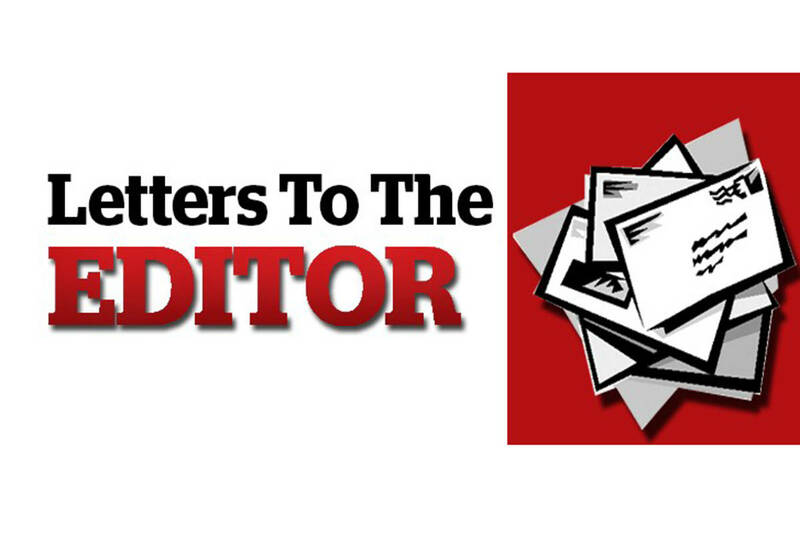 Nigel Easton offered up a simple, succinct answer as to why, and more specifically when, he decided to retire as manager of the Langley Curling Club. “When I hit the big 65,” Easton quipped. Another motivating factor: Easton also wanted to spend more time with his wife Linda, and in anticipation of his final day in April, has scaled back his hours at the Brookswood club as he transitions into retirement. He gave the club’s board of directors four years’ notice of his decision and is now there between three and four days each week. The club – part of the George Preston Recreation Centre in Brookswood – opened in 1973 and started out with only four sheets of ice before expanding to six sheets in 1990. Easton began managing the club in 1999, after seeing a “help wanted” ad in the Vancouver Province. Before making a move to B.C., Easton lived in Dryden, Ont., where he owned his own retail business and was the president of that community’s golf and curling club for many years. Easton took up curling as an 18-year-old in 1969 but admits wasn’t initially sold on the sport. Easton moved to B.C.’s South Coast from Dryden (est. pop., 7,617 in 2011, and best known for its pulp mill and being the home of NHL Hall of Fame member Chris Pronger) after his wife took a job in B.C around Christmas 1998. Nearly 17 years later, Easton has helped to grow the club from 520 to 800 members. Also, the club co-hosted the Continental Cup at the Langley Events Centre in 2012, and previous to that, hosted the B.C. men’s provincials at the GPRC in 2007, not to mention the juvenile provincials and several playdowns through the years. The B.C. men’s provincials was a challenge, Easton remembered. Another of the club’s major successes is its junior program, Easton noted. To wit: the Langley Curling Club/Royal City Curling Club rink of skip Tyler Tardi, third Daniel Wenzek, second Jordan Tardi, lead Nicholas Meister, fifth Sterling Middleton and coach Paul Tardi recently captured the Tim Hortons B.C. junior men’s curling title, to earn a spot at the 2016 Canadian junior championships. Retiring as manager won’t keep Easton away from the club. He curls four times a week and in bonspiels, and plans to continue volunteering at various curling events. “I play in the men’s league as well as the master’s league, which is 60-plus,” he said. He also enjoys the strategy that comes part and parcel with the sport.